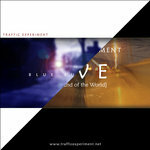 Daniël Oosterhuis A great, new, mysterious twist on the Doctor Who theme! 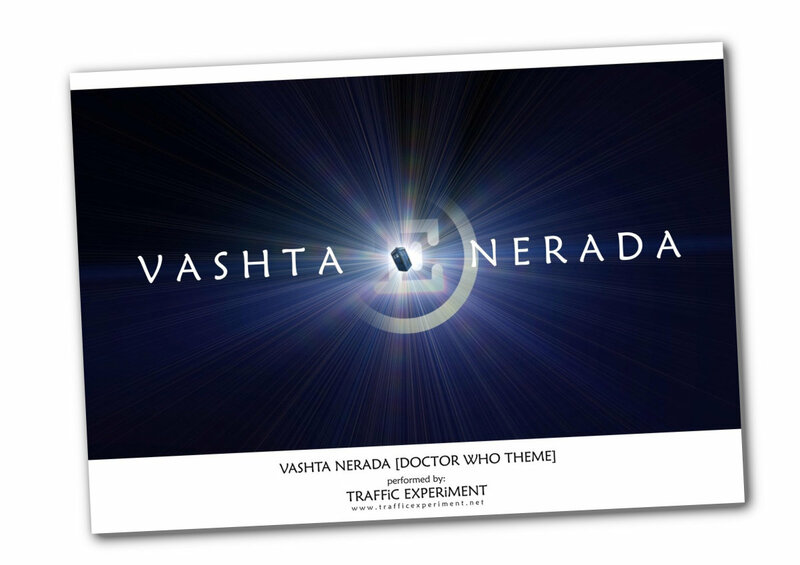 Favorite track: Vashta Nerada [Doctor Who Theme]. David Davis I don't think anyone else could have pulled this off the way that these guys pulled this off. 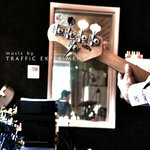 The B-Side is hauntingly beautiful and I get requests for it on my radio show all the time. :) Favorite track: Vashta Nerada [Doctor Who Theme]. 10" pressing (1 of 500) in classic black pure virgin vinyl, contained in an audiophile anti-static, 100% non-abrasive inner sleeve and full colour printed, premium 300gsm heavy card outer sleeve. The vinyl features the original release of Vashta Nerada [Doctor Who Theme] on the A side, and a brand new, previously unheard Traffic Experiment track on the B side. 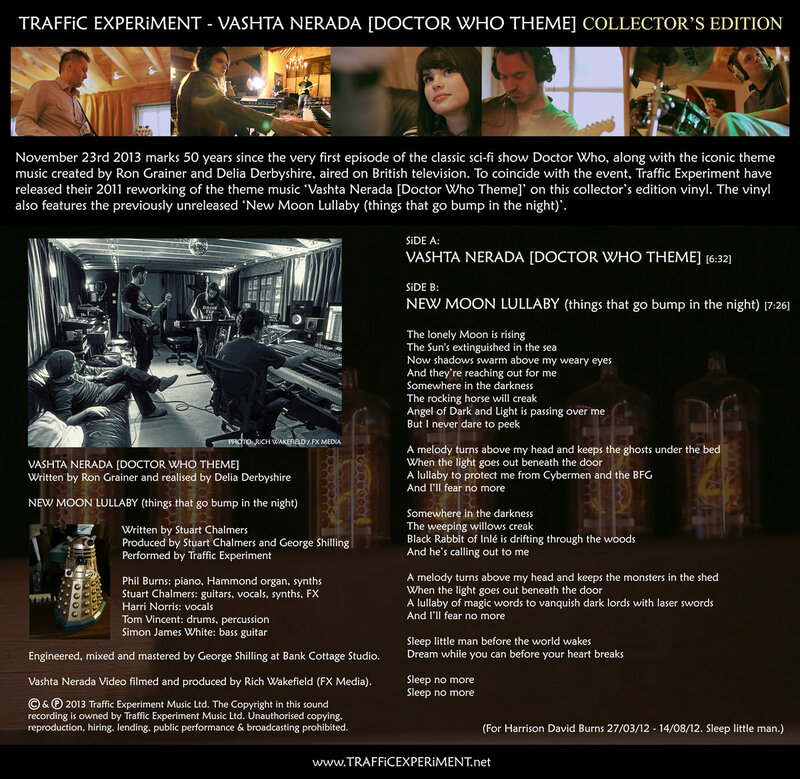 The full-colour A2 poster features the artwork from Traffic Experiment's 'Vashta Nerada [Doctor Who Theme]' and is signed by all the band. Note that the poster is shipped separately in a tube to keep it crease-free (not folded and packaged with the vinyl) and the postage costs reflect this accordingly! 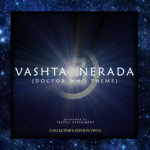 Includes unlimited streaming of Vashta Nerada [Doctor Who Theme] - Collector's Edition via the free Bandcamp app, plus high-quality download in MP3, FLAC and more. 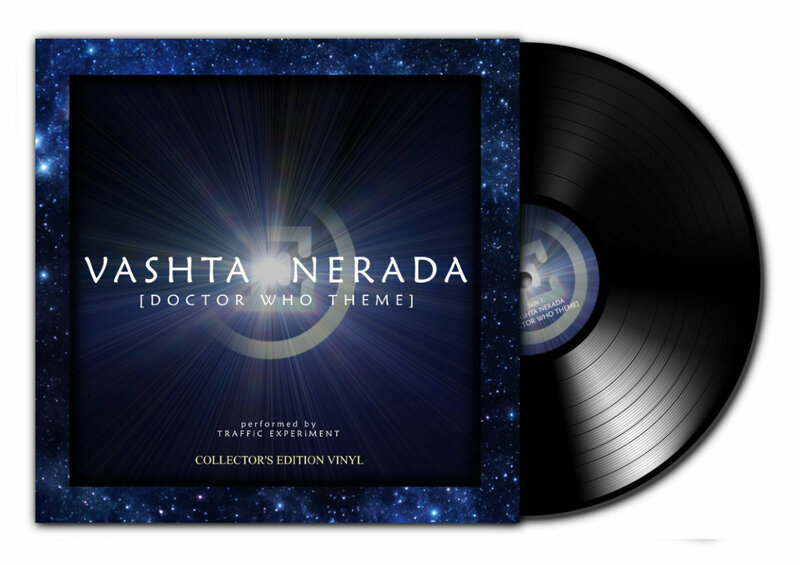 To coincide with the 50th anniversary of Doctor Who, we have decided to press a very limited run of Vashta Nerada [Doctor Who Theme], our reworking of the iconic music, on 10" vinyl. 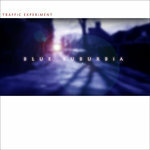 We also wanted to put something special on the B-side, so we are including a new original Traffic Experiment track that has been written for our next album, but for now is only exclusively available with this vinyl release. 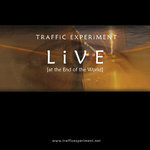 Only 500 copies of this Collector's Edition will ever be printed. 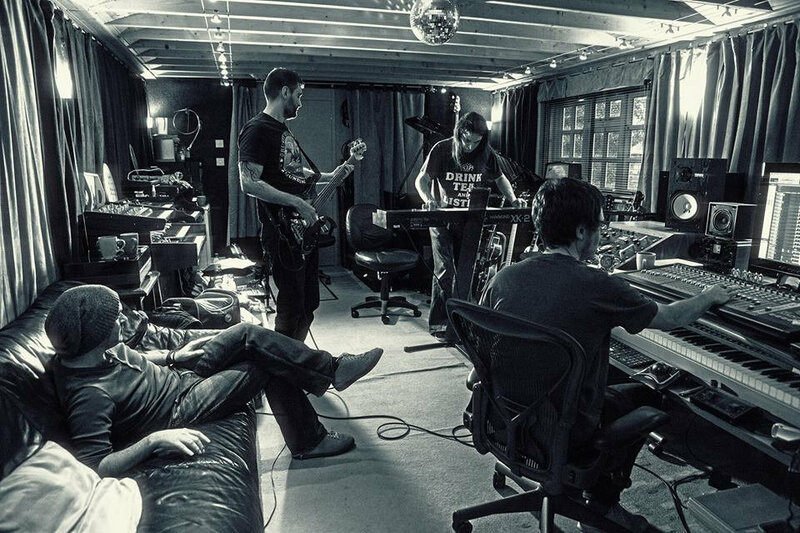 The record itself is a 10" pressing in classic black pure virgin vinyl and is contained in an audiophile anti-static, 100% non-abrasive inner sleeve and full colour printed, premium 300gsm heavy card outer sleeve. 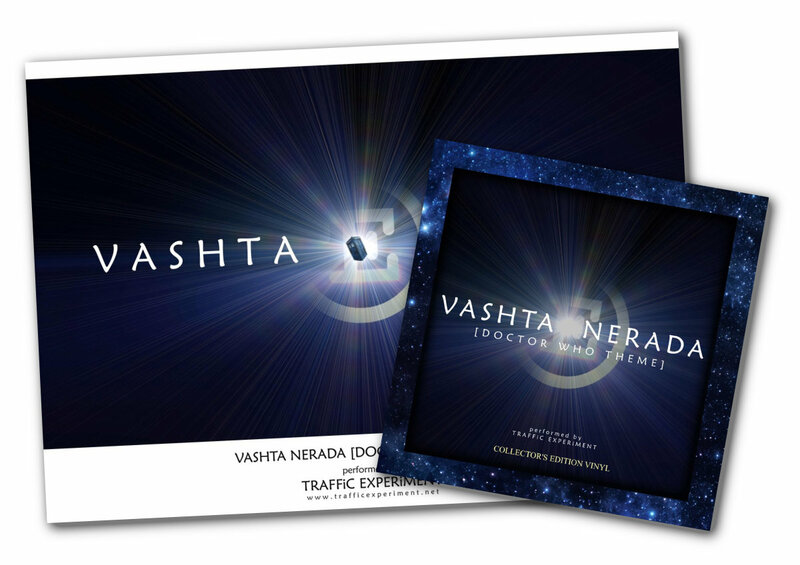 We also have 100 full colour A2 posters featuring the Vashta Nerada artwork which the band have signed and can be purchased along with the vinyl at a special price. Note that the poster will be shipped separately in a tube (to keep it crease-free) so the postage will be a bit more (the poster is not folded and inserted with the vinyl).